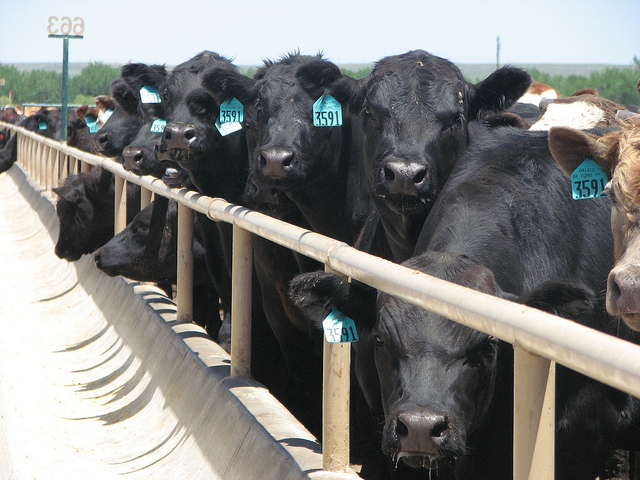 In the latest installment of Cow-Calf Corner in OSU's Extension newsletter, Livestock Marketing Specialist Derrell Peel says the drought impact on cattle markets may have bottomed out. Beef and cattle markets have recovered significantly from lows about a month ago. Demand improvement is reflected in higher Choice boxed beef price, up over $12.00/cwt in the past two weeks on the heels of stronger wholesale middle meat values. Fed cattle prices followed boxed beef higher providing feedlots some relief from record cattle feeding losses. Feeder cattle prices are also higher with the biggest improvement in lightweight feeders, up about $10/cwt from the lows one month ago. Heavy feeder prices, still under the specter of record corn prices, have recovered less and are up about $4.00/cwt from July lows. Does this mean that the drought impacts are over? Almost certainly not, but it may mean that the drought impacts on markets have reached a maximum and may begin to improve. Of course, it depends on actual drought conditions which may or may not improve. The improvement in cattle markets indicates that at this point, most of the damage has been done to forage and hay production as well as the corn market, so most of the price impacts are already in the market. Continued drought impacts are reflected in both cow and feeder markets. Beef cow slaughter in the last four weeks is averaging 13.4 percent below the same period last year. However, last year was up over 20 percent from the year before. Comparing this year to 2010 is more indicative of the real situation. Beef cow slaughter the last four weeks is up 4 percent from the same period in 2010 and with a lower cow inventory, clearly indicates increased cow liquidation. The Cattle on Feed report also indicates continued drought impacts. July placements were 90 percent of year ago levels but outside of that were the largest July placement level since 2006. The weight breakdown of July placements is also instructive. Year over year placements were the smallest for the lightest weight placements, with under-600 pound animals down 19 percent compared to the large placements a year ago in July. Nevertheless, the number of under-600 pound animals placed in July is also at the highest level since 2006 with the exception of last year. Both the beef cow slaughter and feedlot placements indicates that the 2012 drought is forcing cow liquidation and early movement of calves but not at the extreme levels of last year. It would seem that cattle markets are in a position to stabilize and hold the price recovery of the past month. Additional improvement in boxed beef and fed cattle prices will depend on continued beef demand improvement for the remainder of the year. If fall moisture develops in areas where winter grazing is possible, calf and stocker prices will likely rise on short supplies. There will likely be smaller than average fall run of calves as many have already moved in several regions. Heavy feeder cattle will remain under the dark cloud of high corn prices with less potential for significant price improvement but little downside risk as well.